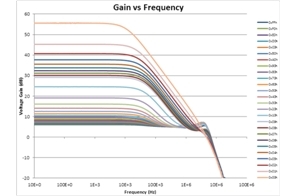 This simple and low-cost digitally programmable gain amplifier design creates non-inverting gains ranging from 6dB (2V/V) to 60dB (1000V/V). The design is based on a general purpose op amp and a digital potentiometer as one of the gain-setting elements. 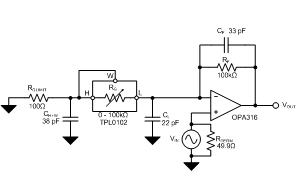 The digital potentiometer is controlled with a standard I2C digital interface.